"It's quite interesting working with you on this and watching your process. Which I think is a kind of hyper-tuned Zen version of post-Bauhausian intellectualism and discipline. Its seems to be a super light touch and almost a cold 'catalogue raisonné' perspective on things. Which is good for me, cos I get too pushy and partisan about things always. What's nice watching it is every edit steps back a step from the way I see the work and how I would warp it with my subjectivity when I photograph/edit it. It puts the work at a sort of academic distance, but also makes it feel more REAL in the world, which I LOVE. It's probably like Martin Hannett working with Joy Division." "And my oh my, the first Thing we have for you is scalding. 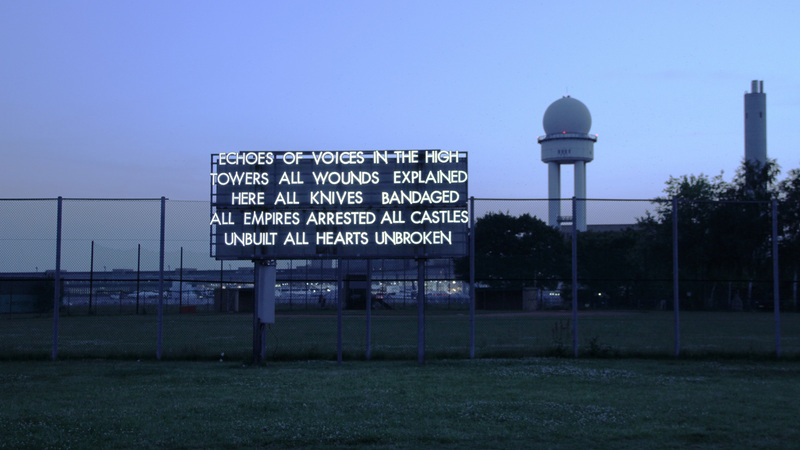 Robert Montgomery’s Echoes of Voices in the High Towers is an artist book published by mono.kultur. A2 in size, divided into three different parts, this publication is full of Robert’s works displaying his striking words that appear as statements from the collective unconsciousness, emphasising his subtle ideas and poetic allusions. 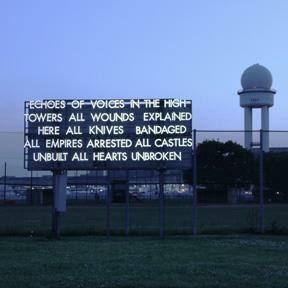 The three-part book chronicles those moments of profound magic found throughout Robert’s work; those moments can spring on you at any time, anywhere — 'In the middle of the street, we might come across his words and realise that someone is speaking with us — through an anonymous poem between advertising billboards or as an unidentified page in a magazine, or a light installation illuminating the night.' His poems, like this publication, will always have a tendency to linger in our memory." "Received it yesterday. It's AMAZING. Thank you."